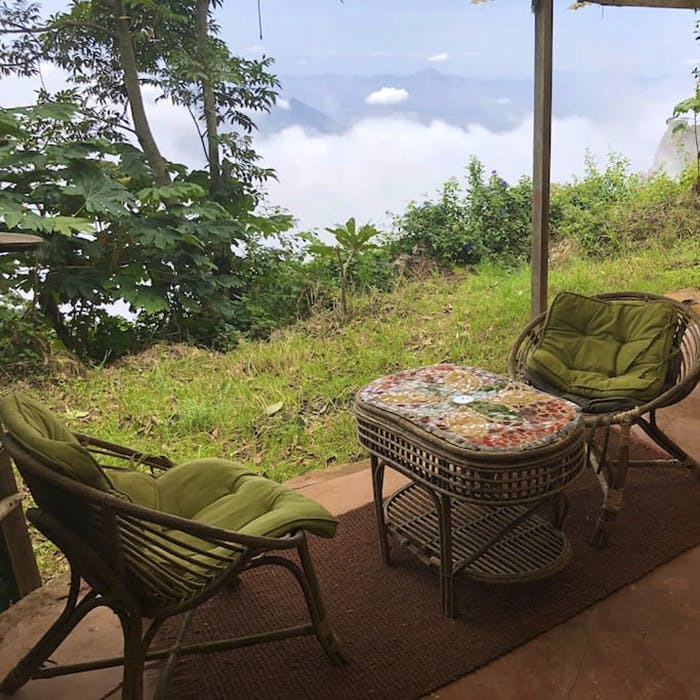 Perched upon the hills of chilly Kodaikanal, Sunrise Chalet is perfect for backpackers with low budgets looking for incredible views. If you’re planning to run away to Kodai, now’s the best time (especially with the heat in Chennai). This time, ditch the huge Victorian bungalows and check into Sunrise Chalet instead. Its geodesic shape and budget price make it awesome! Located in Karuna Dham, Sunrise Chalet is perched on top of hills. Once you exit, you can see only mist, clouds, and green hills, so if you’re a nature lover, grab on to this jackpot. You’re guaranteed privacy here and it is pretty secluded. Stunning location, cozy space, that’s what it’s all about here. Sunrise Chalet is close to an organic farm, and there’s 24/7 hot water. The chalet is solar-powered, and the kitchen overlooks the mountains so you can see the hilltops while cooking. There’s a double bed and you can get an extra mattress, but it’ll get a bit cramped with three people. You can dine at a vegetarian restaurant just 10 minutes from the chalet. The red walls, tiny windows, and shape of the chalet make this a perfect homestay for a weekend getaway to Kodaikanal. The Sunrise Chalet is priced at INR 1,468, super budget! There is WiFi, but it’s a great place to stay off the grid and take in the views. 91% of guests who have stayed here have given it a five-star rating, so confidently go ahead and book it! If you’re looking for Victorian homestays, check out the best ones in Kodaikanal here. There may be power shortages during the cloudy months of November and December. The price includes complimentary breakfast.